WOW – Women of the World Festival 2012 is a celebration of the formidable strength and inventiveness of women, running 7-11 March. This annual festival presents and recognises women from all walks of life, acting as a conversation space for issues of all kinds. WOW includes lively talks and debates about politics, the arts, economics, fashion, science, health, sport and big ideas. Take part in mentoring and workshops and hear from celebrities, politicians, artists and activists on the topics that matter to women worldwide. Evening highlights (ticketed separately) include comedy from Sandi Toksvig; music from Equals Live 2012 hosted by Annie Lennox, Sinead O’Connor and Emmy the Great; and film with Birds Eye View Sound and Silents. Storm in a Teacup, East London Fawcett Group and VV collective will all have an info table at the WOW marketplace on Saturday 10th of March, the Marketplace is free, so drop in and see how you can get involved in our 2012 activities and events. 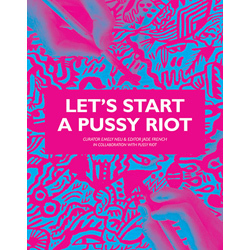 This entry was posted in activism, Art, comedy, East London Fawcett Group, Education, Events, Feminism, film, Music, performance art, spokenword, VV Collective, Women of the World Festival. Bookmark the permalink.